Elliott has given up on all his plans for the future - but then Megan bursts into his life with a proposal that could change it forever. And Then We Ran is a book which intrigued and excited me the moment I pulled it from the envelope. I'm a sucker for road-trips, and this book is a road-trip both literally and metaphorically. From the outside, Megan Hughes might be the girl whose sister died not long ago, but she is also pretty, popular, and one of those people who seems guaranteed to get the future they want. She hasn't spoken to her childhood best friend Elliot Redwood in years - he has a bad reputation due to his dad's mistakes, and the town of St Evaline hates his family. But he was also there on the night Megan's sister drowned. He couldn't save her - but maybe, with Megan's out-there proposal, they can save each other. The premise of And Then We Ran is a crazy one, and maybe it shouldn't be believable... but it is; Cannon makes it work. Amidst the epic road-tripping, the slow-burning romance, the friendship, and typical small-town seafront life, I hugely appreciated another relevant topic which Cannon touched on: university applications. And Then We Ran perfectly captures how it feels to be left behind when your classmates are moving away to start a new chapter without you, how it feels to have your future hinging on a handful of exam results, and how money is - sadly and unfairly - a huge factor when people are deciding whether or not to go to university. The fact is that the existence of student loans doesn't always provide encouragement or relief but rather stops people from going entirely due to the debt that ensues, and this book gets that - it's a massive issue. Despite university often being mentioned in books, I've never seen UK YA do the 'pre-university' stage, never mind with such detail and accuracy. And this book gets both sides of the story: how it feels to be going, and how it can feel when you're not. Additionally, Cannon nails the politics of a small town where everyone knows everyone, and the relationships were fully believable. 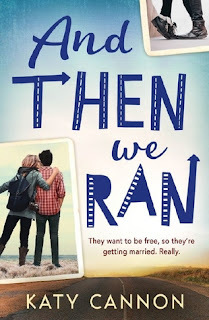 And Then We Ran is not only an entertaining story but also a piece of writing which aspiring YA writers should look to as an example of good pacing and style - I have! I remember loving Cannon's debut, Love, Lies and Lemon Pies because it added a big dose of unpredictability to the typical YA contemporary, and this is no different. 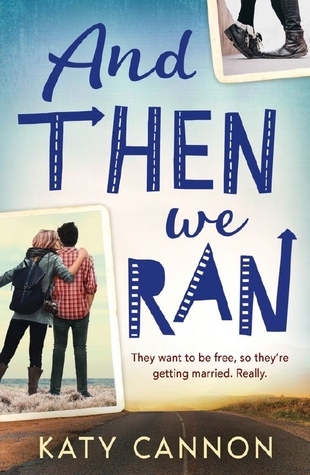 And Then We Ran is a treat to read by an author who clearly understands her readers, and it is an excellent example of genuine, unique and current YA. 100% recommend.